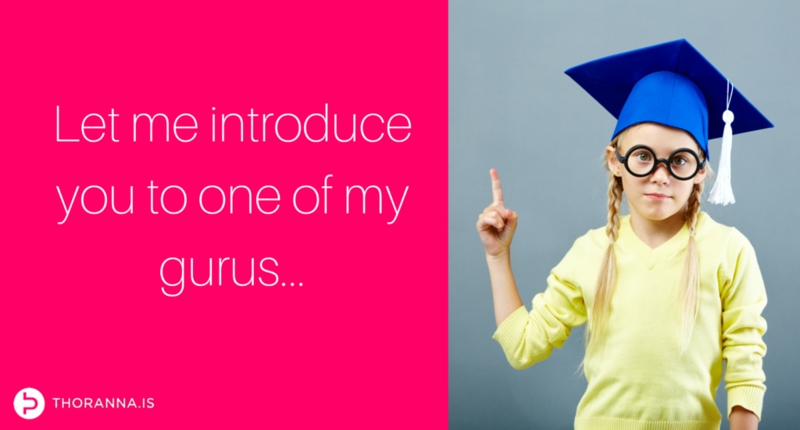 In the wast space of the internet, there are endless amounts of websites, blogs, so-called gurus and know-it-alls – hey, you could say I am one of them! :D There is information and content everywhere and it is easy to get overwhelmed and try to take it all in – which can only end in disaster. Although my focus is on marketing strategy and branding, I want to have a very good idea of all aspects of marketing. This is no easy task. Throughout the years I have subscribed to hundreds of email lists, put hundreds if not thousands of blogs into my Feedly (or my Google Reader back in the day ;) ) and attended wayyyyyy to many webinars. Today, there are only a handful of people whose blogs and emails I read on a regular basis, and this guy is one of them. 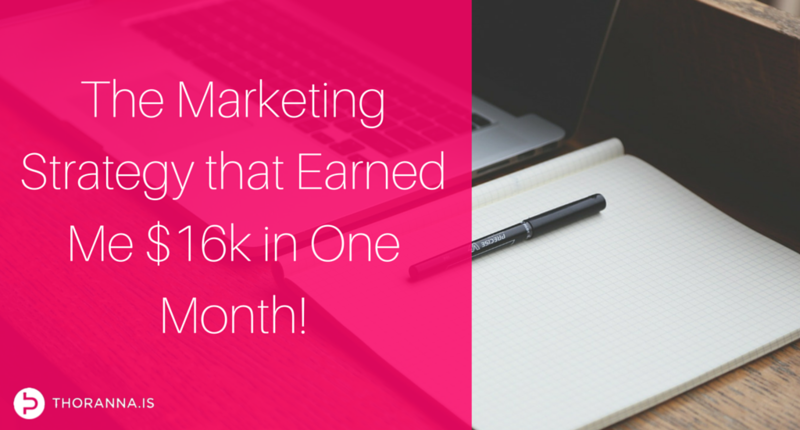 The Marketing Strategy that Earned Me $16k in One Month! Recently I had an open enrolment period for my Marketing Untangled Training program. I don’t have that big a list. I’ve only just started building it outside my native Iceland, and in a country of 330 thousand people, building a huge list of people interested in marketing and branding for entrepreneurs and small business is, well … :) Add to that a cultural difference between us Europeans and USA, which means that I have found that many marketing strategies and tactics that work like a charm State side need to be, let’s say, adjusted and softened somewhat on this side of the pond. Webinars are something I have done before on a number of occasions, and they’ve done well for me, all things considered. Well, ok, but I knew I could be doing much better. I have seen people out there increasing their revenue dramatically in that one hour during a webinar, sometimes by 5 and 6 figures and I wanted to do the same. There! I’ve said it! I truly, deeply, madly hate boring businesses. In my mind there is absolutely no excuse for boring businesses. Don’t get me wrong, not every business has to be outrageously funny and crazy (although, I definitely don’t mind those) – but I believe all businesses should be interesting, because boring is not antonym of fun or funny when it comes to business – it is the antonym of interesting. Why on earth should we do business with those who are not interesting? If you don’t have something of interest to contribute in this world, why should I give a damn? If you don’t make the world better in some way or another, why exist? Businesses that are interesting are worth caring about. Those that can’t be bothered – well, why should we bother with them? 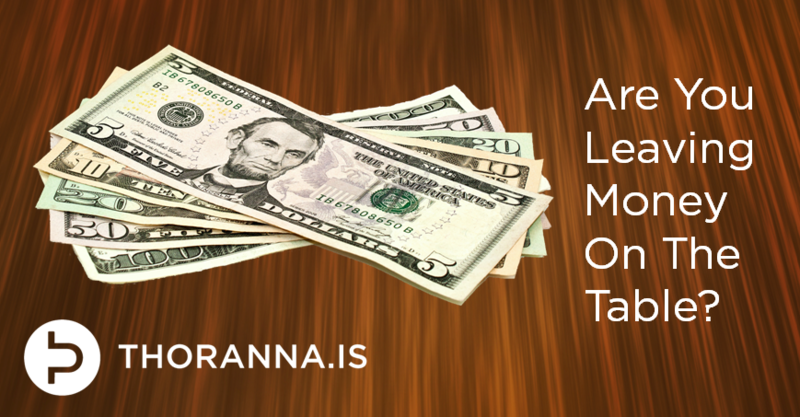 Content Marketing: Are You Leaving Money On The Table? Content marketing is something that is close to my heart as a marketer. I am very much the content marketing evangelist and have spoken quite extensively about it. In my Icelandic online training program there is a very big module about marketing communications and as I am reworking the materials in English (my training will be launched internationally next year) the realisation just hits me again and again how large a part of modern marketing content marketing is. Amongst other things, the marketing communications part of my training covers the marketing process, how marketing activities must work together for optimum results, and then I list a great big menu of marketing communications tools and activities that SMBs and entrepreneurs have at their disposal. To make sense of the myriad of things out there, I have prioritised the options and given examples of what activities are most suitable for what types of businesses. As I went through the list of only the most important things to do in marketing, just the ones that hardly any business can go without today, it became increasingly clear that in today’s business world content marketing is not an option but a necessity. It is something that we are all doing and all need to do if we are in business, and its importance will only increase in the future. It is literally everywhere! Content marketing is one of my favourite aspects of marketing for many reasons. One of the somewhat hidden benefits of content marketing is how it can improve your relationship with your customers through their learning. Most of us have experienced bad customers, whether they were difficult to sell to to begin with or whether they are difficult to work with once business is underway. There are many reasons for them being this way (some people are just like that ;) but in many cases these difficulties can be reduced through content marketing. By informing and enlightening your customers you can remove many of the hindrances to a good relationship, and even open the door to selling them things that they may never have been willing to buy otherwise.